Chatham, Virginia: Virkler & Bartlett LLC, the noted Historic road race specialists, has introduced a new range of custom racing clutches with reliable and robust starter motor assemblies. 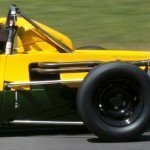 In Historic road-racing cars, particularly those from the 1960s, ‘50s and ‘40s, clutches and starters are a persistent source of trouble. The original clutches are unreliable, performance is mediocre at best and parts are unavailable. Similarly, starter motors are notorious for failing at the worst possible moment. 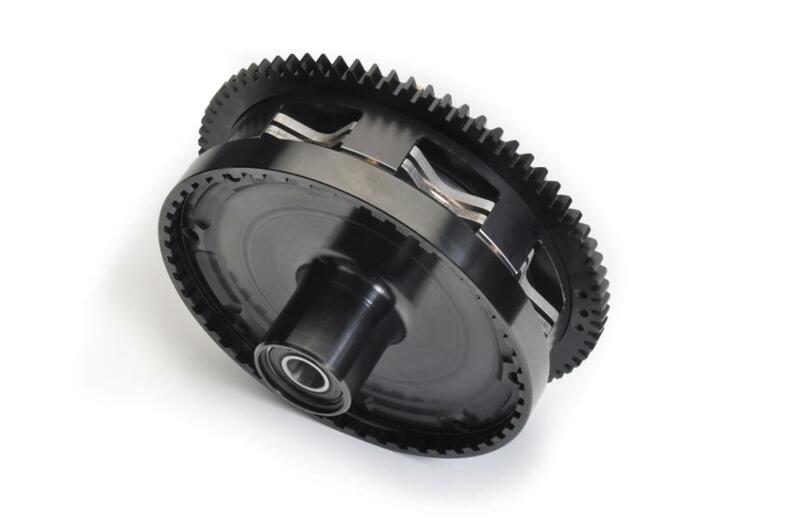 Light weight custom clutch assemblies from V&B are available with single, twin or triple friction discs in popular diameters of 4.5in, 5.5in and 7.25in. 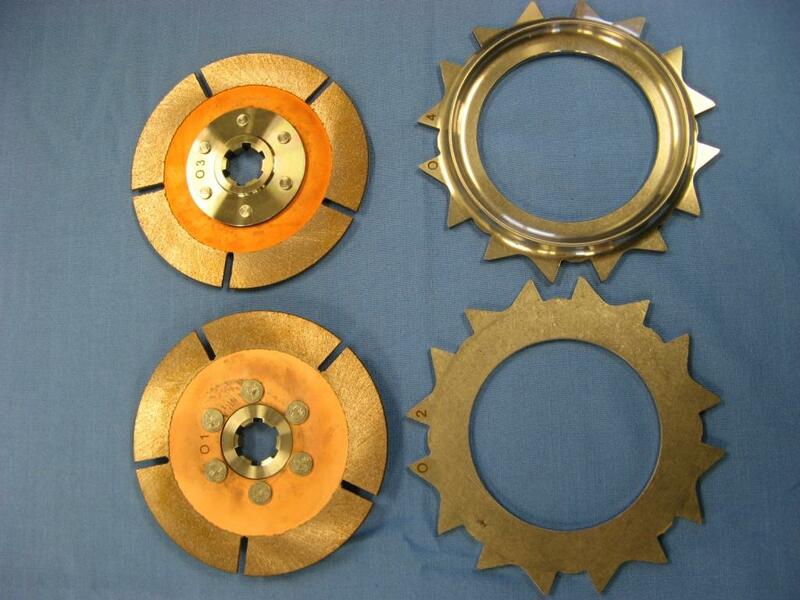 The clutch friction discs are offered either in sintered metal or in carbon and a range of diaphragm spring pressures are readily available. Fasteners and other materials are produced mainly from aircraft-quality metals, including the starter ring gear of chrome moly steel. 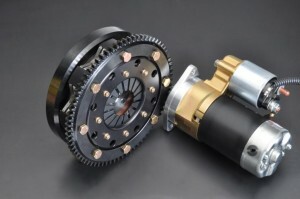 The promise is to provide a full season’s use, including frequent standing starts, without clutch maintenance. 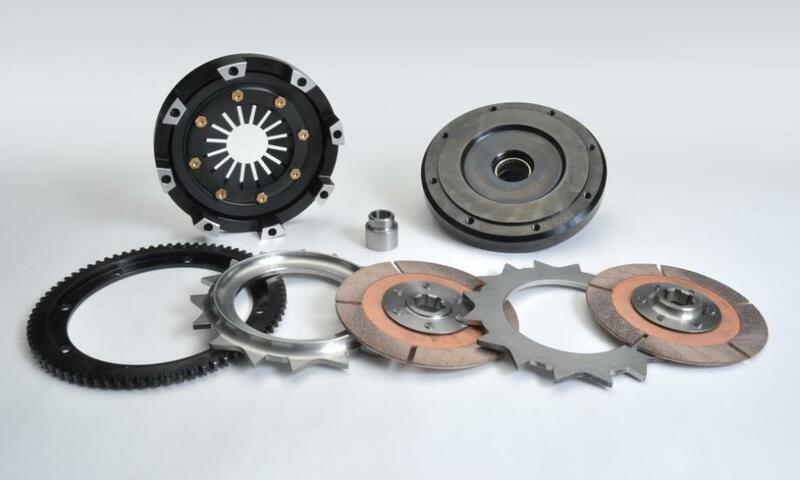 Whether conventionally mounted on a flywheel or driven from other sources, these new V&B custom clutches are made to suit the application. 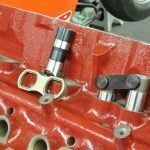 To complete the conversion, an attendant linkage kit, designed with appropriate pedal pressure, is provided if required. 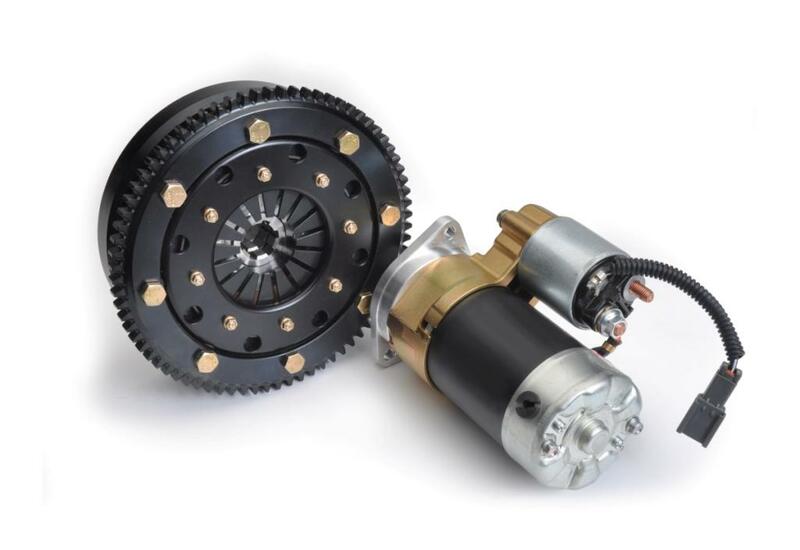 Finally, using conventional mounting centers, V&B’s accompanying starter motor is compact, durable and dependable. 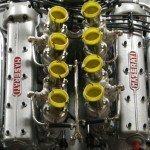 Bartlett releases some fascinating components for historic racing cars and secures prestigous Goodwood victory. 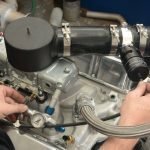 For several years Virginia-based V&B’s Bob Bartlett and his engineering team has been challenging the cream of historic road racing. From Monza to Monaco and from Monterey to Goodwood, Bob’s efforts frequently upset the European’s apple cart. 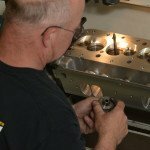 Bartlett, a restless man always inquisitive always seeking a solution, has released some fascinating components for historic racing cars. In addition to his aptitude for building powerful racing engines and fine racing wheels and now his innovative clutch-starter assemblies, here is a tantalizing glimpse of gears he produced for historic sports racers of the early 1960s. These V&B gears are not exact copies of the originals, but are direct functional replacements that utilize modern engineering for improved performance. They are made of high quality steel usually 9310, a chromium-nickel-molybdenum known for its core strength and fatigue resistance. 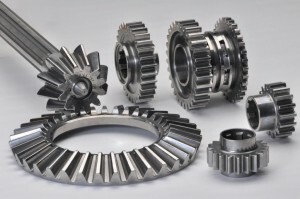 The gears are carburized, hardened, precision ground, shot peened and super-finished. Dog rings are wear parts made of a special alloy for toughness and wear resistance. The dog tooth form is optimized for rapid and positive shifting; the gear tooth form for smooth running and long life. Inspected on a Zeiss coordinate measuring machine (CMM), V&B make their gears to any class of precision required. Often it is this man’s psychology—what makes him tick—that intrigues. Small matters like how would someone, perhaps in another country, perhaps unfamiliar with the layout of the multi-plate clutch know how to dismantle and reassemble it correctly? 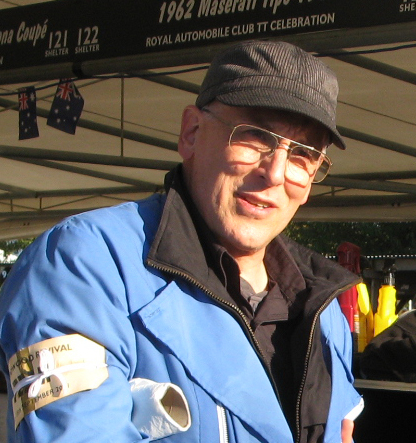 How could he ensure proper field assembly knowing these challenges often occur when luck is against them, when time is at a premium, and the wind is howling in a wet race paddock? So Bartlett marks them 01, 02, 03, etc., which refers to Out 1, Out 2, Out 3 with the numbered order facing outward and clearly visible. Aiming for perfection is an admirable trait recognized by all. It’s regrettable the creators of computer operating instructions suffer from such mediocrity. If they adopted Bob Bartlett’s simple instructional approach for the unfamiliar, perhaps fewer lap tops would end their days at the bottom of creeks discarded by exasperated owners!